Delivery from £8.45 to United Kingdom in 2 - 6 working days. Made in Picardie, using the highest quality vitreous enamel and sand-casting. 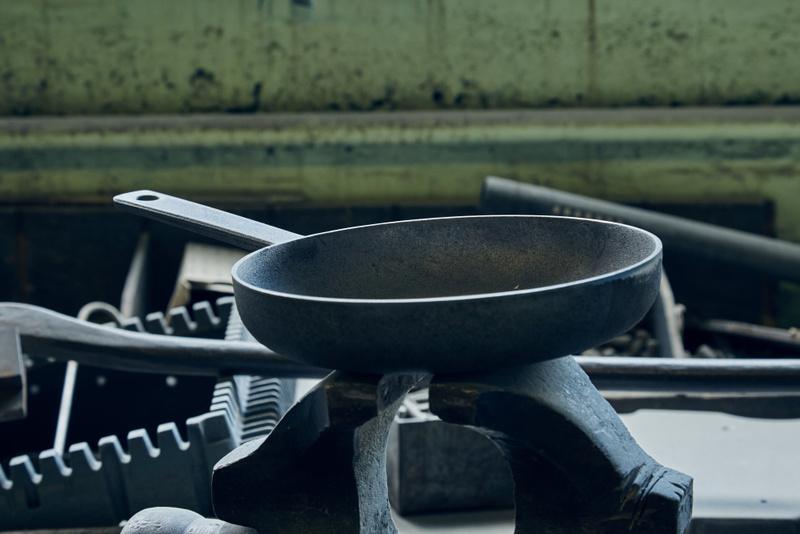 Our pans are cast using up to 30% recycled (scrap iron) material. Enamel is made from pure natural materials such as steel, quartz, feldspar, borax, soda ash, clay and potash - making our products 100% recyclable. Enamelled cast iron is long lasting, doesn't produce environmental toxins and its excellent heat conduction properties make it ideal for cookware. We use plain unprinted Kraft board & paper based tapes to package our products ensuring easy recycling/reuse. Crane products are finished with a specially formulated matt black enamel inside and out, which has a subtly textured appearance. Originally developed for use in commercial kitchens, the specific properties of this high-quality enamel finish improve the products' resistance to thermal shocks and scratches making our pans virtually indestructible. Ideal for sautéing, caramelizing, searing, braising food & also baking. The products will gradually “burn in” as they are used & will take on a brownish patina. 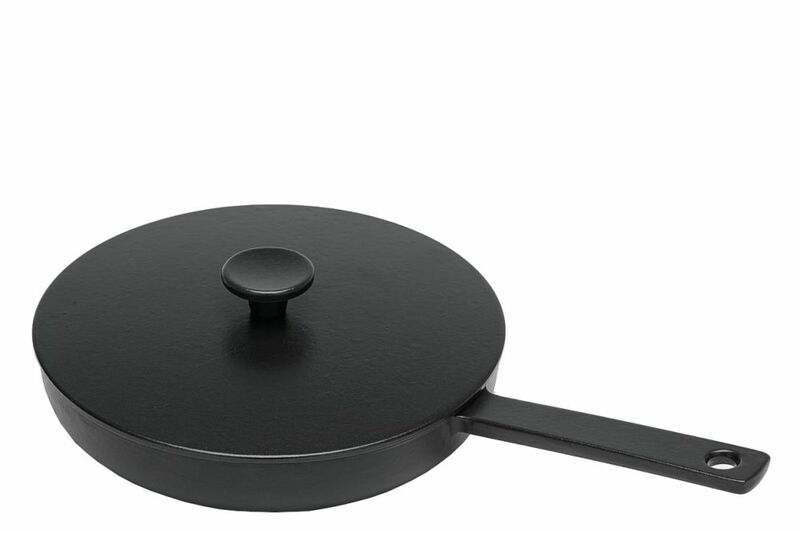 Crane is a British design and manufacturing company, specialising in professional cookware and accessories. Our products are made in Picardie, using the highest quality vitreous enamel and sand-casting.